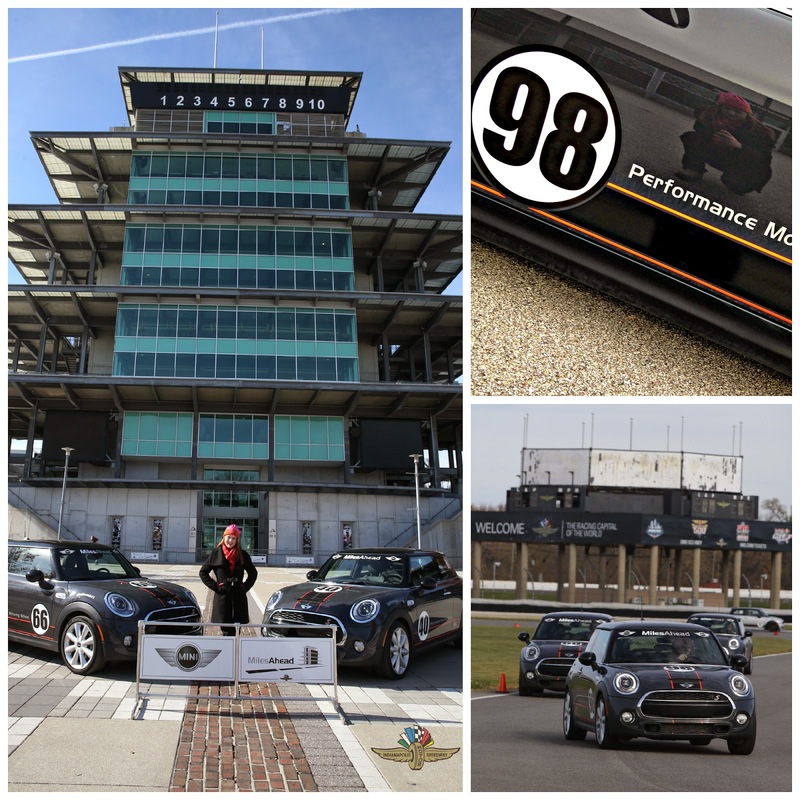 The "Pagoda" is one of the iconic features of Indy's beloved Motor Speedway; I thoroughly enjoyed every second of my time behind the wheel of a performance tuned, 2014 MINI Cooper. They are faster and more nimble than you'd ever dream; My ride was number 98, a tribute to beloved two-time Indianapolis 500 winner Dan Wheldon, whose life was cut short far too soon. If you've read my "Fashion in the Fast Lane" guest post for the Karina Chronicles, you already know how I feel about driving fast, and how much I love the Indianapolis 500. So when I got up close and personal with the Borg Warner Trophy last May and kissed the iconic yard of bricks at the Indianapolis Motor Speedway (in an evening gown, no less), I felt like a first grader on her first field trip to the zoo. But two weeks ago, I took my second performance driving course (this time it was the MINI Performance Motoring School), and got to test my skill on the most famous racetrack in the world! As if that weren't enough, the course instructors are all talented racecar drivers, two of whom are veterans of the "Greatest Spectacle in Racing", and two more of whom are also likely to grace the field of 33 in the next several years. No eveing gown for this turn at the track. For those of you who've asked if I ever "dress down," the answer is a resounding Yes! I practically live in cargo pants on the weekend (though, admittedly, I still have to match - a friend has diagnosed me with CCOCD, or Color Coordination Obsessive Compulsive Disorder!) 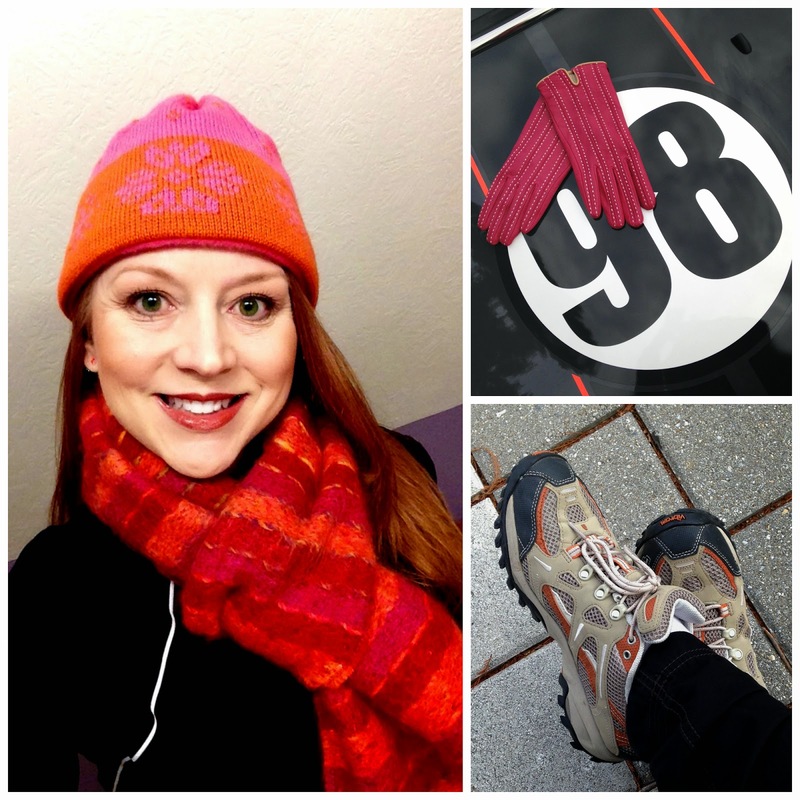 For a brisk November morning at the Motor Speedway, that means a fleece-lined sock cap and wool scarf in shades of pink and orange (with my cargo pants, of course). Dress for the occasion. That means no heels for a day of hard driving! Lest you think I'm more concerned about matching my shoes to my scarf (and my hot pink leather driving gloves) than I am about hitting my lines and controlling oversteer on the track, let me just (not so) humble brag for a second that six time Indy 500 veteran and program founder Stephan Gregoire told KDef after riding with me during one exercise and observing me during the timed auto-cross competition that I had natural talent (for driving - not matching my outfits). Maybe he says that to all the girls...but I prefer to give it more weight since it wasn't even me he was talking to...! And man did I love auto-cross! But let's be real. I have no grand delusions about racing in real life. Not gonna happen. Still, spending a day learning from the best and giving it everything you've got in the Mini Performance Motoring School is a fantastic experience and one that I'd highly recommend to anybody! 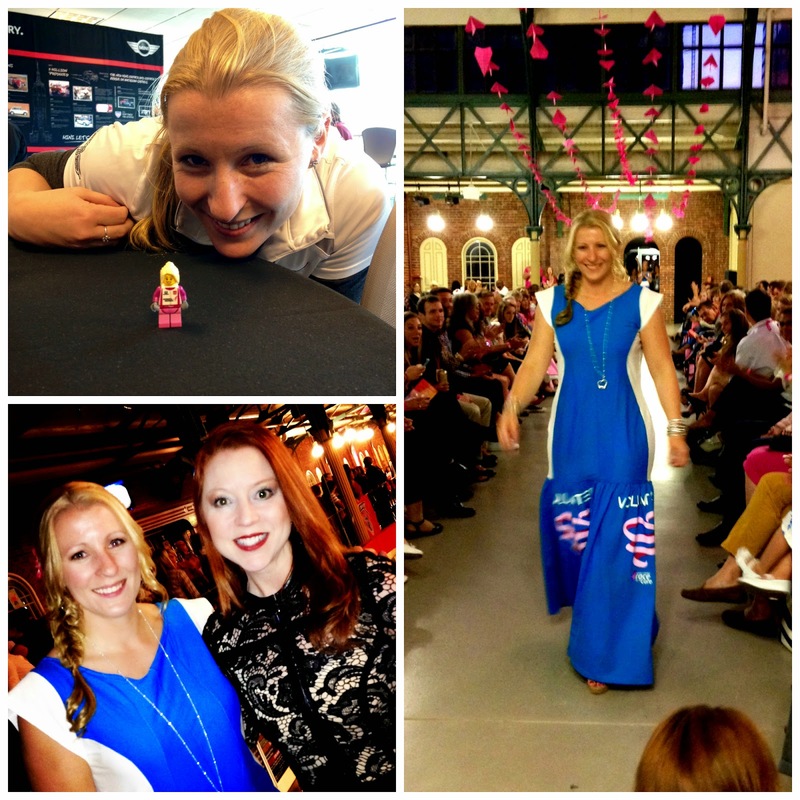 Pippa Mann rocks the racetrack AND the runway. She's even got her own Lego figure, Little Pippa. And, believe it or not, I actually have fashion to thank for the opportunity. A mutual friend introduced me to veteran racer and performance motoring school instructor Pippa Mann at a fashion show for the Central Indiana chapter of the Susan G. Komen Foundation. As it turns out, Pippa may be as big of a shoe lover as I am, and she knows her way around fashion far better than I'll ever know my way around a racetrack. In any event, I owe her a big thank you for telling me about the Mini Performance Motoring School, and it was with a nod to her Komen IRL ride that I chose to wear the pink scarf and hat for a day of chasing her and her colleagues around the track. Thanks, Pippa! I'll be cheering for you in May.